Johnson City Lions contributed generously for the building of the Tennessee Lions Eye Center at Vanderbilt Children’s Hospital in Nashville. Through Tennessee Multiple District 12, we continue our support of this wonderful institution. If your child needs vision services beyond the capability of local hospitals, and you have limited financial resources and/or insurance, we may be able to help. Email us. 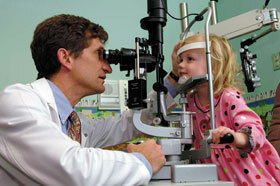 For the latest on Kids Sight Screenings, click here.